Roadscanners presents a 20th anniversary seminar “Future Transport Infrastructure Asset Management in Rural Areas” 22.3.2018 at the Cultural Center Korundi in Rovaniemi. Speakers include international experts and speakers from ROADEX, PEHKO, HCT, ITS Aurora, and ROPE. Presentations and panels will discuss the future of rural roads and rails, infrastructure management in northern conditions and climates, and other related topics. According to the United Nations Population Forecast, by 2050, two-thirds of all people will live in cities. This means, on the other hand, that every third person will live in a rural area where transport and telecommunications connections will grow more and more important, both because of regional competitiveness and social well-being. For this reason, even though digitalization discussions have focused mainly on growth centers, rural habitats should not be forgotten. 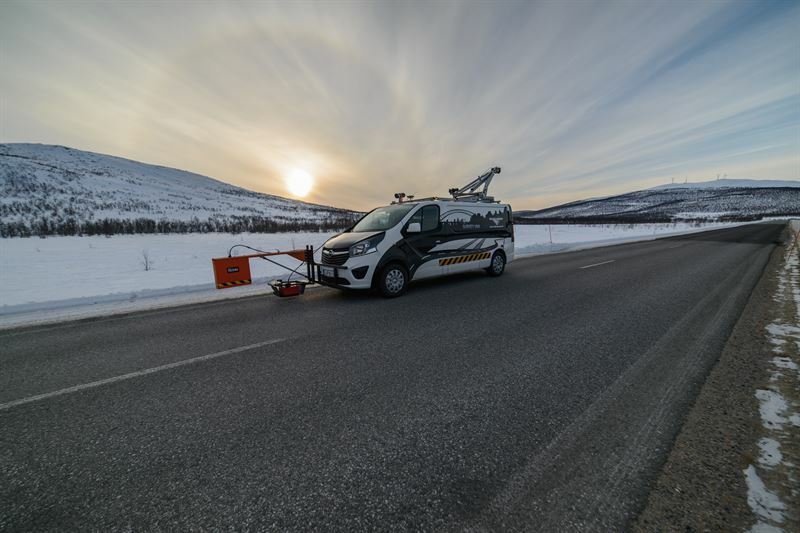 A good place for this discussion is Finnish Lapland, which has developed and piloted several R&D projects for intelligent traffic asset management in recent years. Examples of these are the ROADEX network, funded mainly by the EU since 2008, the PEHKO project, which focuses on proactive maintenance of roads, the HCT project to test super heavy trucks, the ITS Aurora project and the ongoing ROPE project for railways. All of these projects are striving to develop newer technologies to improve asset management whilst providing safer and more efficient transport connections, without forgetting cost-efficiency. Roadscanners, which is closely involved in all of the aforementioned projects, will celebrate its 20th anniversary on March 22nd at the House of Culture Korundi, which will host a seminar with the theme, "Future Transport Infrastructure Asset Management in Rural Areas." The aim of the seminar is to provide an overview of the challenges and opportunities that the world’s northern areas will face in the road and rail sector over the next few years. Specifically, discussions will be held on what digitalization and future technologies can provide to those who are responsible for road and railways condition, and also to road users. The seminar program will include presentations and panel discussions. Experts from Finland, the Nordic countries and North America have been invited as speakers. Annex 1 presents the seminar program, and Annex 2 presents brief summaries of the seminar speakers and their presentations. During the seminar, it will be possible to interview the speakers and panel discussion participants.